Cherie arrived with twelve other dogs from South Korea. They were rescued by Humane Society International from a dog-meat farm that they closed down. Cherie was one of the most shell-shocked dogs and went straight out on foster and, unfortunately, she has been one of the last to find her perfect forever home. Although, she was able to go straight out on foster, she was just as terrified as she had been in kennels. Pressing her face into the wall and trying to make herself as small as possible, it took weeks before she was investigating her new home and garden. Having other dogs around her helped a lot and they all tried to show her what it was to be a normal dog and that humans here are not that scary! She is still very nervous of loud noises and movement and it took a lot of tasty treats to build her confidence with her foster carers, but she got braver every day. 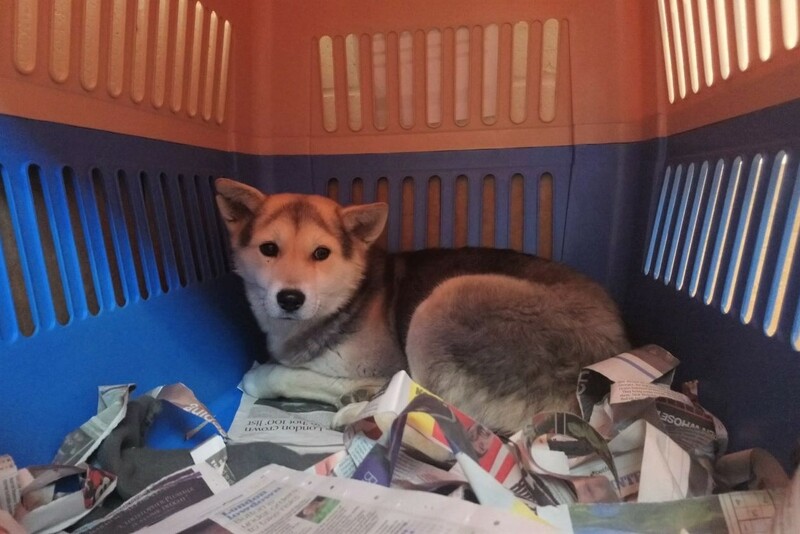 After weeks and weeks of waiting, we were contacted by a lovely lady who owned a male Shiba Inu. She had read Cherie's story, fallen in love with her and couldn't wait to meet her! Cherie has been in her new home for a few days now and we hear everything is well! She's exploring her new surroundings and seems to enjoy having her new fur-brother around! 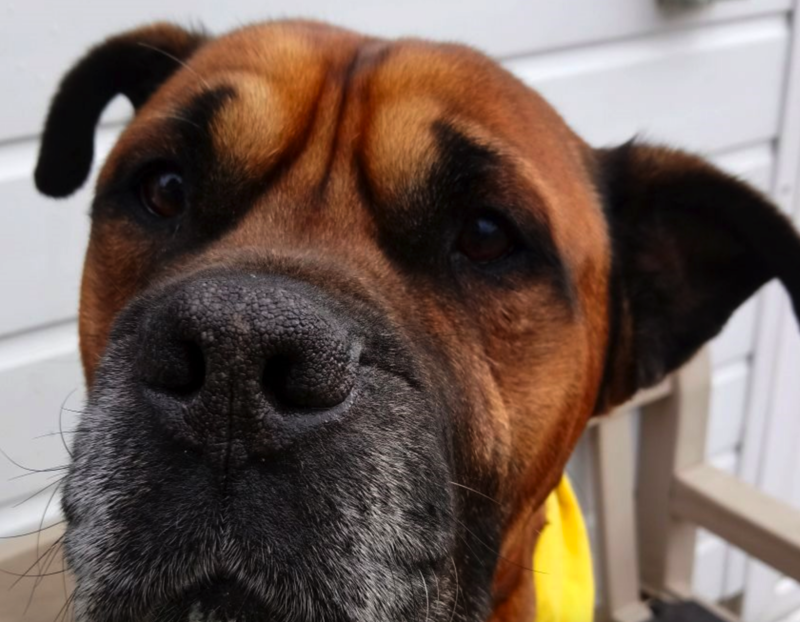 Winston is a Mastiff cross who has come to us after he was found abandoned. He’s approximately 6-7 years old. Available for adoption, foster home required. We had a great Valentine’s Walk on Hampstead Heath on Sunday 11th February and raised £1027.54 which will all go to help dogs in need. There were some seriously loved up dogs there, all looking for their special Valentine. 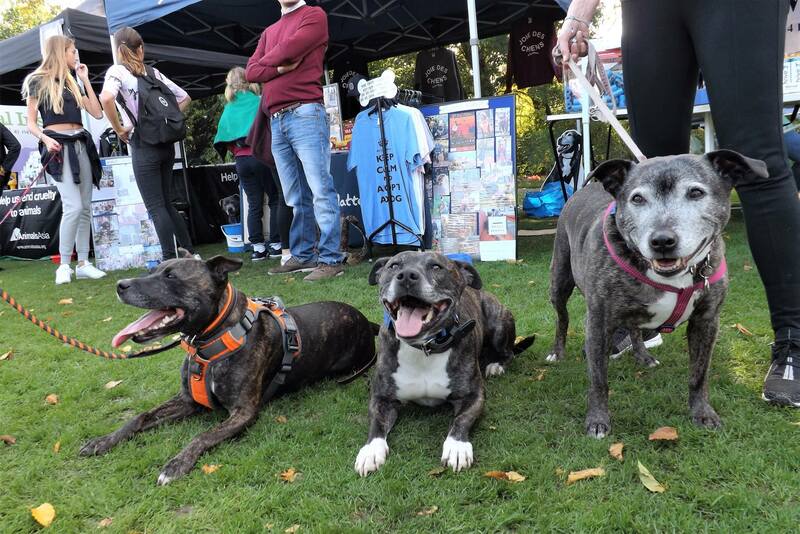 Our next event is on Sunday 15th April – the Priory Park Dog Show in Haringey together with our friends at the Dogs Trust. We’ll be publishing more information about this soon on our website.